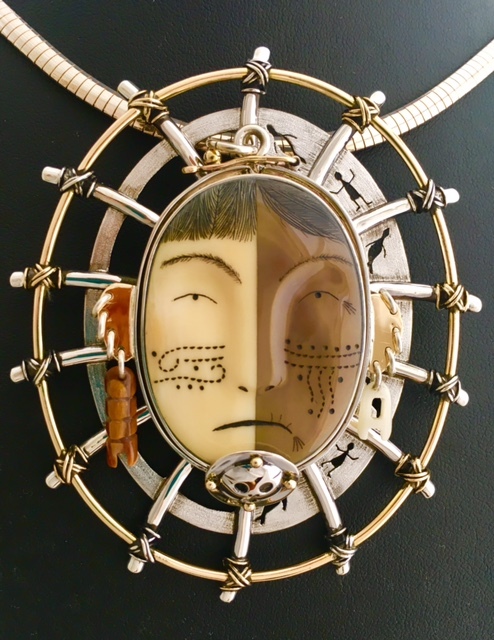 Description: The first piece I made of this design I was thinking of showing a comparison of the younger native woman with tattoos and piercings to the historic native woman and how they were not so different from each other. This second piece I felt like the younger and older women’s faces actually represent the same woman. 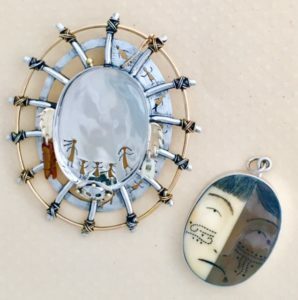 The center face can be removed and worn separately as a pendant.